Basel is no strangers to museums! 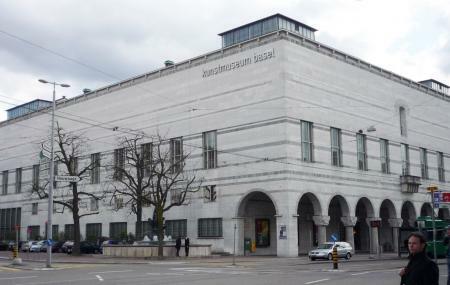 Home of the oldest museum of Switzerland, the Kunstmuseum’s exhibits are divided into two time frames- the 1400-1600 and 1800 to the present. A not-so-consolidated time capsule, everything you need to know about art through the ages can be found within these walls. The Kunstmuseum boasts of the finest collection in all of Europe- the Upper Rhine Valley collections, sculptures of Rodin and Calder to name a few and of course the old masters are just some of the visual treats in store for you! How popular is Kunst Museum? People normally club together The Cathedral Munster and Altstadt while planning their visit to Kunst Museum. A very nice museum with a very extensive art selection. If you want to properly visit it, it will take you at least 2 hours. Also grateful that it was quiet at the time I visited, and not crowded. Many different artworks from Picasso to Kandinsky, as well as other less well-known artists from the Swiss region. An unforgettable time in a beautiful place! What a great experience. Very nice with a lot of art. A must see if you are in Basel! Impressive! The old and new buildings are whatever you could have imagined of a museum and more. The fix expositions are interesting and there is always something new in there. If you come yo Basel is a must. I got discount from municipality. Which is nice! The map/schema a bit cryptic, but after you realise rooms layout you will understand it. I met old and new names - great experience! Cafe was nice but expensive, but it is Switzerland. You can also use lockers for your things and coats. I put mine just on hanger and it was fine. Definitely recommend! One of the best collections of modern art: not too big, not too small, quite comprehensive with all the big names you want to see.